Emporia State's Emily Miller, photo by Emporia Gazette, used courtesy ESU Sports Info. 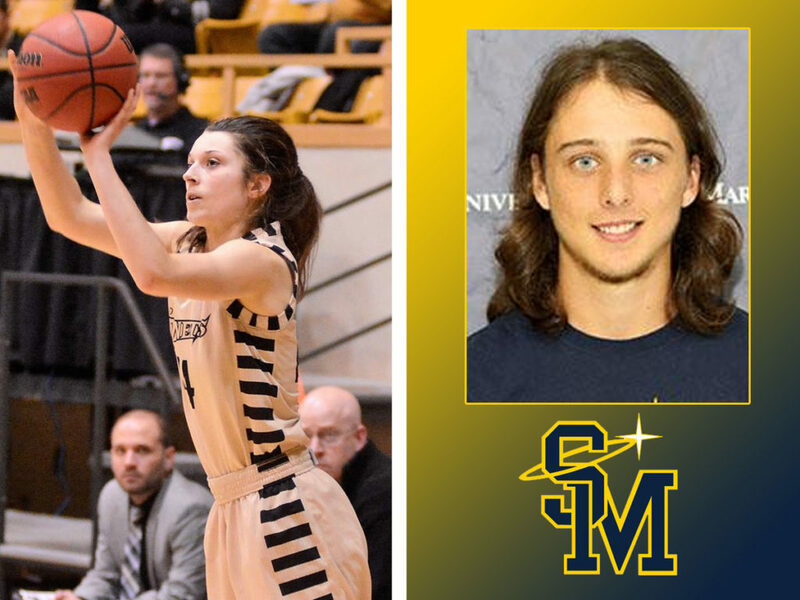 University of St. Mary's Luke Skinner, photo courtesy USM Sports Info. 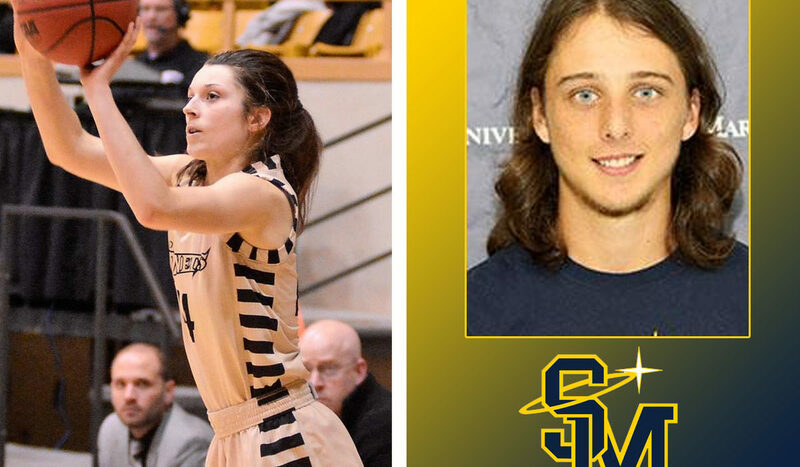 This week’s Kansas college Players of the Week are Emily Miller, ESU, and Luke Skinner, USM. ESU went 2-0 on the week with Miller leading the way, averaging 23.0 points and 5.0 rebounds per game. She had 20 points, five rebounds and three assists as the Hornets beat Lindenwood. Her encore saw a career-high 26 points to go with five rebounds and three assists in a win over Lincoln. Skinner competed in three events at the Wichita State Invitational, and won all three. He set a national qualifying mark in the 600 m and earned a National A standard in the 1,000 m. He also helped his relay team set a new school record in the 4×800 relay (8:07.13).